I posted a response to a thread on KBoards, one of the better places to discuss self-publishing and all that jazz, on the subject of using pen names to write in different genres. Essentially, I’d tend to go with a pen name for each genre, based on my experience. As you know, I predominantly write police procedurals set in Edinburgh, Scotland, which I do not at all badly out of at all. 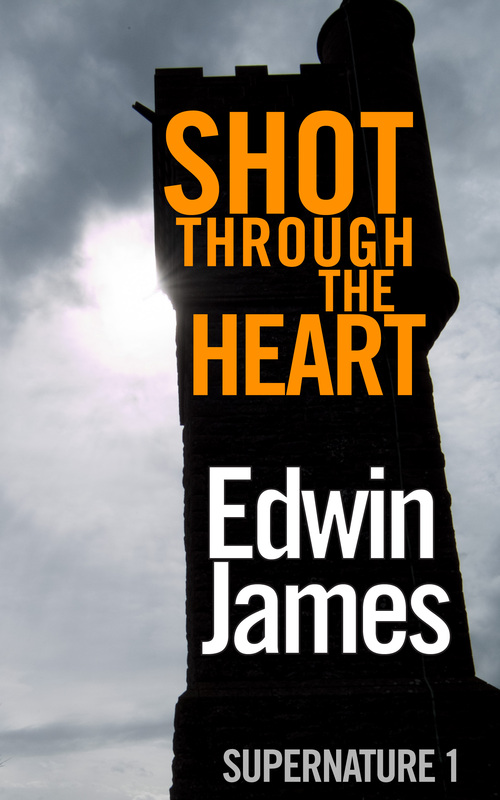 A few years ago, I hit upon an idea to do a vampire thriller set in the Highlands of Scotland, called SHOT THROUGH THE HEART. What I found when I released it was my existing audience either 1) sort of, kind of liked SHOT (about 20%) or 2) were largely ambivalent to it and the sales were nothing like for the other books in my DC Scott Cullen series, usually by a factor of ten (if I’d spent that time writing another Cullen, I’d have earned a lot more cash). My thinking in the fourteen months since publication has been all over the place. In 2013, I started out wanting to write a sequel to establish a series. Then, when I started getting the “vampire=bad” feedback, it kind of morphed into a police procedural with vampires – I’ve finally written that book as a straight police procedural without any vampires (CRASH INTO MY ARMS, I’ll be starting the second draft next week), which’ll mesh well with my core audience of police procedural fans. But… I get an email or social media post every couple of weeks asking what’s happening to Supernature. I’ve got a desire, if not exactly burning then at least on fire, to write a proper sequel to SHOT. I’m thinking through how to make that work – a revised draft of SHOT with more of a police element seems to be an idea I can’t get away from and I had a bash at that last week, which was going in a promising direction. The bits I disliked about SHOT were instantly removed by the police stuff and the flow of the story was a hell of a lot better. There’s quite a lot of Scottish folklore I could explore with that. One thing I noticed last summer is based on trying the old “product funnels” thing, as espoused in WRITE. PUBLISH. REPEAT., by making SHOT free for a period. The result was it ended up cannibalising sell-on from GHOST IN THE MACHINE, the first freebie in the Cullen series – rather than buying book 2 in the series after enjoying book 1, the readers seemed to go for the other free one. Because it was vampires and they tended to dislike it, so I lost sales. If it’d been a straight pol proc, I think it’d have worked, most likely. Of course, it could be that SHOT just isn’t that good – another reason a redraft will help is it’ll allow me to know if it’s a quality thing. Alternatively, it could be that I’ve not released book 2 in the series, so I’ve no real idea if it is a money-spinner. It did take about a year for it to break even on publicity and editing costs, which is another reason I felt my fingers got burnt. Finally, it could be that the cover is too “police procedural” – moody, monochrome shot with bright text – and it jars with the genre. 1) People who like a writer writing in a genre tend to like the genre more than the writer, i.e. they’re less likely to buy you writing in another genre. 2) There are people who like the writer as much as the genre but they’re a lot lower. The crossover could be managed by other means, e.g. mailing list – “hey I’ve got a new book out in another genre under another name. You might not like it so I’m not forcing it down your throat” etc. 3) I might not have gone after the fans of vampire books in the right way (title, cover, product description, author name, etc). They might think it’s a police procedural. 5) Watch your product funnels don’t cannibalise the main genre series. Hope that’s of interest to you. I’ll be getting back to that redraft of SHOT in the summertime and will most likely do the second book back to back, while the characters and genre are still fresh in my head. At the moment, it’s called JUST WALKING THE DEAD, thought I really want to use the title HUNGRY LIKE THE WOLF, somewhere. Very interesting thoughts there, Ed, and thanks for sharing them. For an Indie like me starting out, it’s good advice. I recently a writer I’d met 10 years ago in NY, called JA Konrath. He advocates self publishing now, and makes a lot of money from it, and from what he blogs about, I gather he hates the “big 5” I think he calls the major publishers. He writes horror novels under another name (which escapes me as I type this) and he also collaborates, and he seems to do well out of it. I bought your vampire book, primarily because you’d written it, and secondly, because I read the first bit on Amazon and liked your style and the character in it. It’s in my virtual TBR pile and I’m slowly working my way through it, but from what you say, readers are certainly a fickle bunch. To be honest, my sales are not doing well at all in the UK, but doing much better in the USA. Maybe it’s because I tell every man and his dog who will listen, “If you read, I wrote this!” And then I show them the book on my iPhone! I don’t know if people just think the book is shite, or if not enough people know about it. The one-star review I got, the woman said something like, it doesn’t help when I keep facts hidden. It’s an effin mystery novel! And some bloke I don’t even know, jumped to my defense in the comments section. God bless ‘im! Again, I found your article interesting as my first novel was a horror novel, way back when. In fact, I wrote a follow-up and both bombed. However, I would always write down ideas in a wee black book I always carried with me, and now I still have a ton of ideas, for crime, thrillers and horror, so if I do get around to writing more horrors, then I will think about whether to use my own name or not. Lastly, imo, your vampire novel does sound the business for people interested in horror, but maybe you have a point when you say maybe people thought it was a ‘tec novel. Maybe a different cover would work more, and I don’t know if you have a middle name, but like Iain Banks stuck his middle initial in there, you could try that. Mine is A. John A Carson. Only problem with that is, people might think a dead American chat show host is now writing novels, when you say my name fast! No matter what you write though, I’m sure you will always have a solid fanbase. Me included. I promise I’m not a fanboy though.